Lawmakers gave final approval April 11 to an omnibus retirement measure. 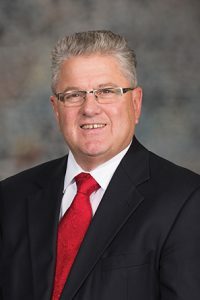 Among other provisions, LB34, introduced by Seward Sen. Mark Kolterman, eliminates an option that allowed a county or state employee retirement plan member who has been terminated and filed a grievance to request and receive up to $25,000 from his or her retirement account during the grievance process. • LB565, introduced by Lincoln Sen. Kate Bolz, clarifies that when a beneficiary is not designated in the state, county or school retirement plans, benefits go to the surviving spouse. If a member of the retirement system is married at the time of his or her death and there is no designated beneficiary on file, the spouse married to the member on the date of the member’s death will be the beneficiary. If the member is not married on the date of his or her death and there is no surviving designated beneficiary on file, the benefit will be paid to the member’s estate. LB34 passed on a vote of 48-0 and takes effect immediately.